"I am pleased to see today also the economic agents involved in the process of obtaining export rights for poultry meat and eggs on the EU market. Last year, we had over 65% of exports oriented towards the EU. of livestock products will ensure a growth of at least 15% on exports. 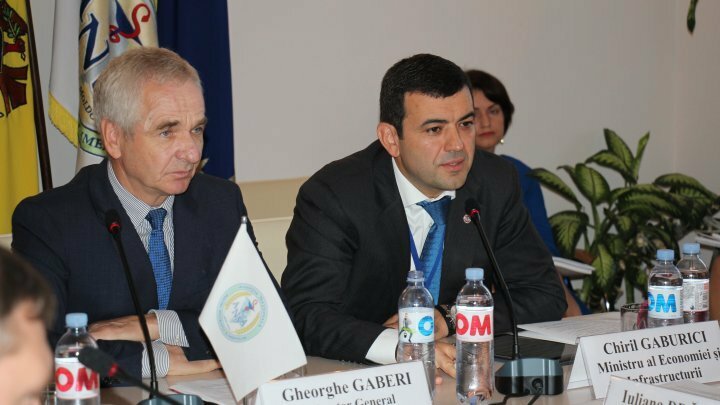 In fact, the figure could be much higher and this means positive economic growth for our country", said Economy and Infrastructure Minister Chiril Gaburici at the meeting with the producers in the sector poultry. It discussed the progress of the implementation of the Manufacturing Plan in order to obtain the right of the Republic of Moldova to export meat and poultry category B to the European Union. According to the minister, the Republic of Moldova can produce and export two times more poultry meat than at present. "With this right, the poultry sector in the Republic of Moldova will grow considerably. It is a more difficult but not impossible process." We want to have access to the EU market next year and see more products on the shelves in the shops there The mission of the Ministry of Economy and Infrastructure is to open up as many markets as possible to economic agents, so we need to make our products quality and comply with European standards. "We are making stronger efforts to do that, stressed Minister Chiril Gaburici. During the meetings with the poultry producers and the representatives of the responsible institutions, issues related to the modernization of the EU legislation on the veterinary and food safety sector in the poultry sector were discussed, the EU requirements and the level of preparation of the enterprises for obtaining the right to export these products in the countries of the European Union. Among the conditionalities that the Republic of Moldova has to fulfill, as outlined in the Roadmap, are the harmonization of the national legislative framework with the acquis communautaire; Reform of the National Agency for Food Safety (ANSA) to meet the requirements for obtaining the EU export right of B-type meat and poultry eggs; ensuring compliance of business operators; reorganizing the laboratory system, etc. Moldova will have the right to export meat and eggs to the EU after an EU audit mission has been carried out. In this respect, the Lithuanian experts have today presented the procedure for organizing a country audit to obtain this right.